Globally: There were 14 million new cancer cases and 8 million cancer deaths in 2012, the most recent year available. "Developing countries account for 57% of cancer cases and 65% of cancer deaths," Torre said. 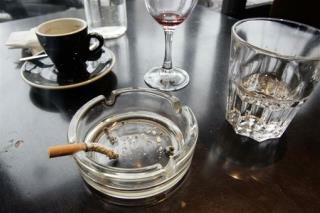 Biggest killers: For men, lung cancer has been the leading cause of cancer death globally for decades. In poor countries, breast cancer remains the top cancer killer for women. Colon cancer has grown as a cause of death worldwide. Men vs. women: Prostate and breast are the most commonly diagnosed cancers in men and women, respectively, in rich countries. The outlook: Smoking rates have leveled off or dropped in rich countries. In the US, "we are already seeing lung cancer death rates decline," Torre said. Prevention: Half of all cancers are preventable. Healthy diets and getting enough exercise cut risk. The hepatitis vaccine helps prevent liver cancer; the HPV vaccine lowers the risk of cervical cancer. The biggest factor: Don't smoke. Quitting by middle age can avoid 60% of the risk of dying of lung cancer, Torre said. "It's never too late to quit." Anyone over 40 who smokes is a weak-willed ahole for not quitting by then. Anyone under 40 is a total moron for ever starting. Try Vap. My wife completely quite after 40 years. Vap not proven to be safest way but better than trying to cut down on regular tobacco. There was also no 2nd hand smoke as she cut down to stop. Uuuugh ! Yeeeaaa, tha`s the one, aaaaahhh.